This entry was posted in Mammals and tagged Arizona, Brown's Ranch, desert, granite, Latigo Trail, McDowell Sonoran Preserve, perching, rock, rock squirrel, Scottsdale, Sonoran Desert. Bookmark the permalink. 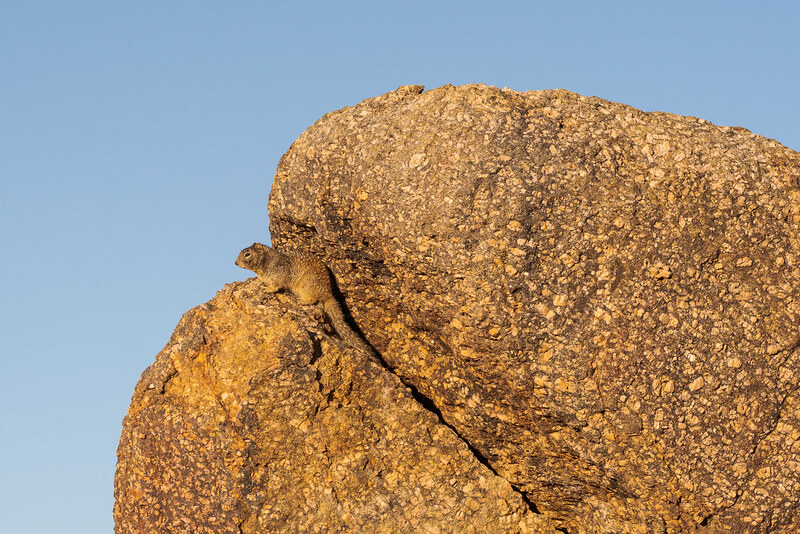 Really happy to see it, when I first saw its silhouette I assumed it was an antelope squirrel but as I got closer realized it was a rock squirrel, I don’t often get to view them this close or this long.